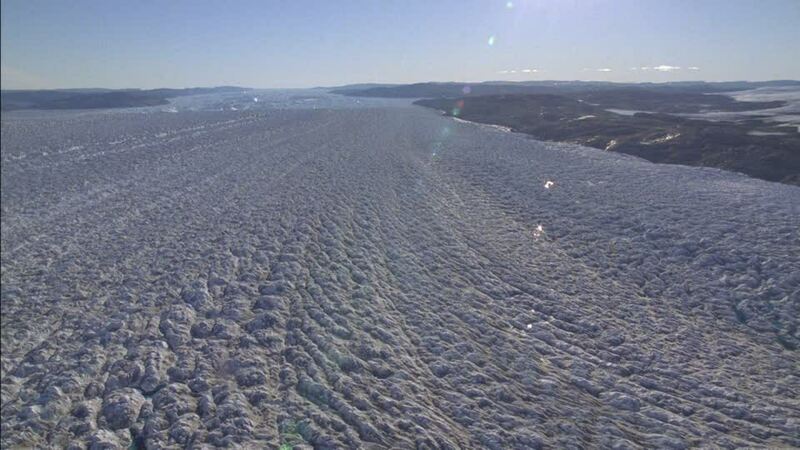 A melting glacier in Greenland (the Jakobshavn glacier) has reversed course, adding ice mass and shocking scientists. But since it’s supposed to be part of global warming, it’s bad news even when the glacier added ice. When it was losing ice, the media warned the area including Greenland’s Jakobshavn glacier was the “canary in the coal mine,” it’s melting would be “felt globally,” it was “powerful evidence” of climate change, and could signal a “troubling time” for the planet’s future. The headlines were designed to prevent any skepticism from taking root. The Weather Channel’s was a mash-up of those two. In 2007, Greenland — “in particular” the area of Jakobshavn glacier — was once called the “canary in the coal mine in terms of what’s going to happen for the rest of the planet” by NBC’s Today show anchor Matt Lauer. He was interviewing ice and climate scientist Jason Box. The Washington Post wrote about it much more than the others. In February 2019, Post climate reporter Chris Mooney wrote a blog with the ominous headline: “Today’s Earth looks a lot like it did 115,000 years ago. All we’re missing is massive sea level rise.” The thrust of the story was that glacial collapse, in Antarctica (and Greenland) could drive sea levels higher. He cited the glacial losses at Jakobshavn in Greenland as a problem “too much to be sustained,” and one that would worsen if Antarctic glaciers behaved the same way. Those warnings and claims about continuing ice loss go back decades. “Change is coming rapidly. Here in Greenland, the ice is melting twice as fast as scientists predicted it would just 10 years ago,” Lauer added. 1. A major glacier in Greenland (the Jakobshavn glacier) that was once one of the fastest shrinking on Earth is now growing again. Julia Seymour asserts: "What [the media] clearly didn’t want people thinking is 'Could climate science be less accurate or less certain than the media make it sound?'" What type of bias does she imply by this question? 2. The Jakobshavn glacier in Greenland has been growing again (after it has been known as the fastest shrinking glacier). Do you think media reports are accurate in portraying this surprising news--not as good news--but as bad news?